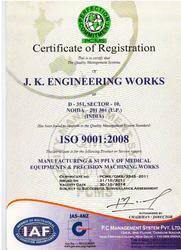 We are an ISO 9001:2008 certified company for the Manufacturing and Supply of Medical Equipments Precision Machining Works. 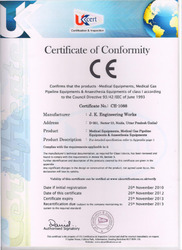 Issued by: P. C Management System Pvt. Ltd. 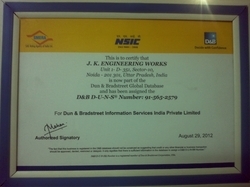 This is to certified that now we are part of the Dun & Bradstreet Global Database.